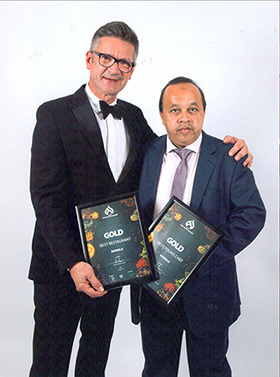 The Bangla, Bangor, were delighted to win ‘Best Restaurant’ and ‘Best Young Chef’ at the Irish Curry Awards. 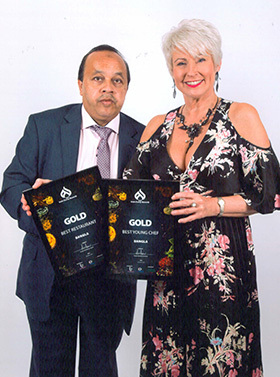 A ttering ceremony was held in the Crown Plaza Hotel and Awards were presented by Pamela Ballantine and Joris Minne, Food Critic, who was the main judge. All restaurants were visited by mystery judges who assessed the quality of the food, service and restaurant, and score on a set criteria. 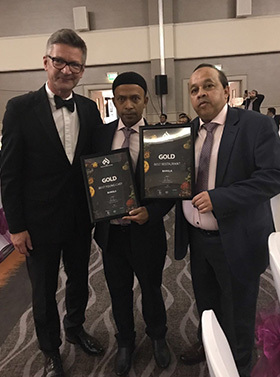 Manager Abdul Rob and chef Shah Faysol Miah were proud to receive this award - their third, having already won the Asian Curry Award 2016 and Asian and Oriental Chef Award 2017. If you haven’t already tried this award winning restaurant, why not book a table this weekend.